What better way to celebrate the holidays then to surround yourself with screaming kids and loads of carbs? I can’t think of one. That’s what we did tonight. Our whole family – CJ, Isabella, my mom and dad, sister, brother-in-law and their 3 kids + a family from my parents church all met up at the Amazing Pizza Machine for dinner and “fun”. As we were waiting in the lobby for everyone to get there, a woman came up to my mom and me and asked if we had seen a nun. At first I thought this was the beginning of a joke so I waited for the punch line. Turns out she was really looking for a Sister – her blood sister actually. The nun soon spotted us and came over, wherein my mom took to praising her for wearing her full garb out in public. For those that don’t know, my mom was a nun once herself. No my dad was not a priest. Guess how many times I got asked that question any time someone found out about my mom’s habit? Isabella looks high – or evil. 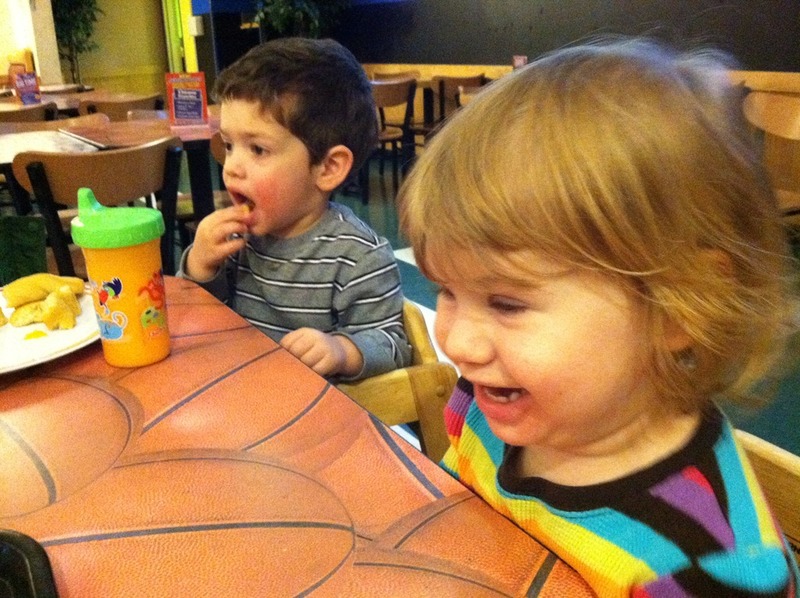 And my nephew Ben seems to be in a carb-induced trance. Finally we headed to the machine part of the Amazing Pizza Machine. Isabella is too little for a lot of the stuff there but she did have fun playing those that only involved hitting a button. She figured out that the more tickets the machine spit out, the better so she got really excited with each one. It was so fun to see her get in to it. Made me forget about all the brats other kids running around. 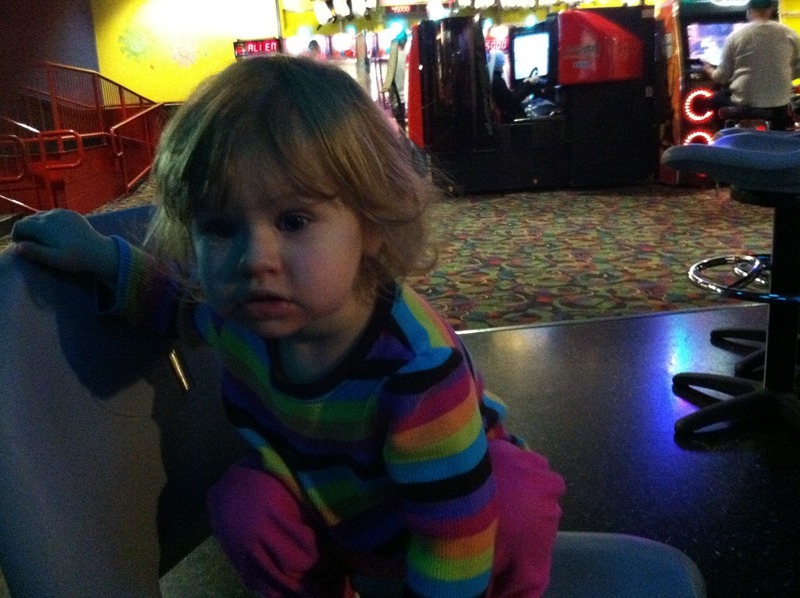 Her cousins are older and were going on some of the rides and playing other games. She enjoyed watching them. 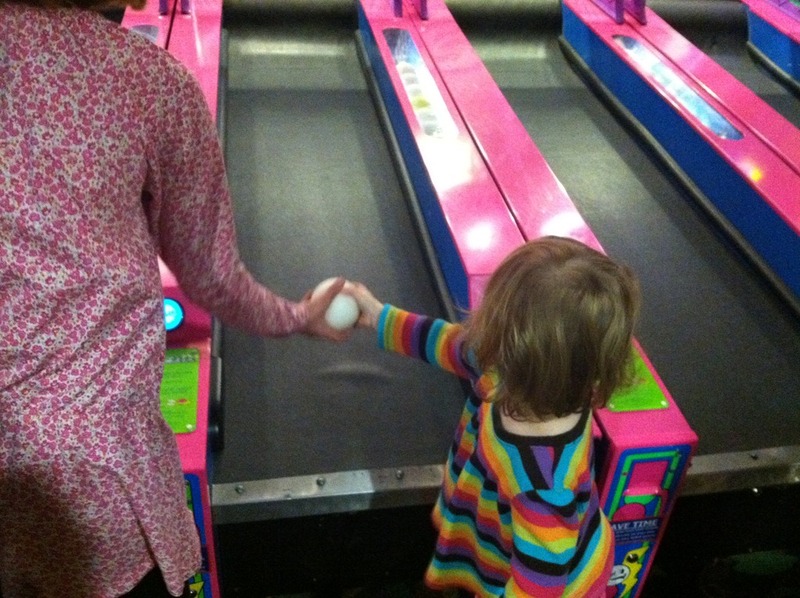 She even helped her cousin Micaela play Ice Ball (aka Skee-ball). By the by, Skee-ball was my favorite arcade game growing up. And not to toot my own horn but I was pretty darn good at it. I didn’t play tonight because I didn’t want to embarrass all the kids but I so could have kicked their butts. At one point there was some weird looking dude dressed all in black giving me the stink eye. He gave me the creeps. I later discovered that he is a priest. Oops. Didn’t notice the white collar before. God bless us everyone! Finally it was time to go. We were all tired and overstimulated. So we counted up the tix – Isabella had earned 65 all by herself! So proud! The only toys they had there for 65 points were junky so we just left. It wasn’t worth waiting in the long line for (or fighting off the redneck looking couple behind me). 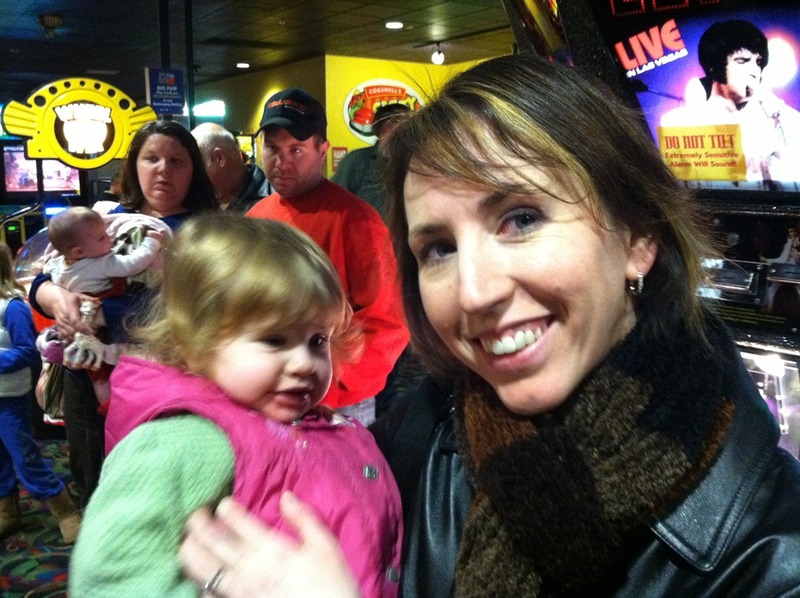 All in all, the night was great – especially seeing Isabella so excited and having fun. And really, isn’t that what Christmas is all about?